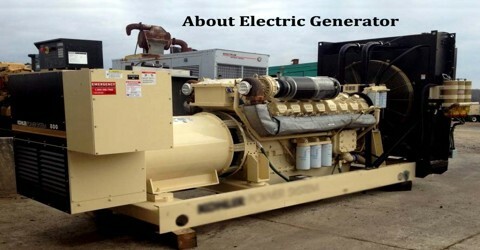 Electric Generator is a machine that converts mechanical energy to electric energy. It is a device that converts motive power into electrical power for use in an external circuit. The mechanical energy can be supplied by the prime mover which combustion engine, steam engine, can water falling through turbine or even an electric motor or any such mechanism that can be a source of mechanical energy. The mechanical power for an electric generator is usually obtained from a rotating shaft and is equal to the shaft torque multiplied by the rotational, or angular, velocity. 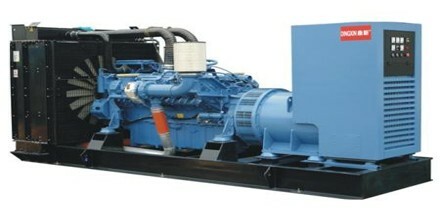 The construction and the speed of the generator may vary considerably depending on the characteristics of the mechanical prime mover. Generators are usually work on Faraday’s law of Electro Magnetic induction. This law explains that by rotating an electric conductor in a magnetic field, an emf is induced, which creates a flow of charges. When the conductor rotates in the magnetic field, a voltage difference is created between its two ends and the flux in it changes and an emf is induced which is proportional to the rate of change of flux (e=-N dΦ/dt) and hence the current flows. The electric conductor rotating is called the armature of the generator. 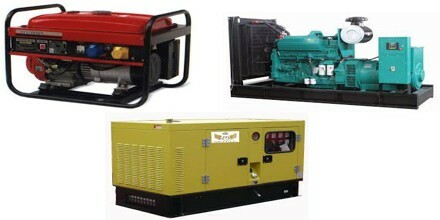 The electric generator works in the opposite way of an electric motor. It converts mechanical work into electrical energy. The principle of working off a generator is such that flow of electric charges can be induced by moving an electrical conductor in a magnetic field. Moving the conductor in the magnetic field produces a voltage difference between the two ends of the wire (electrical conductor), thus producing an induced current. Separately Excited Generator: In a separately excited generator, the field flux is derived from a separate power source independent of the generator itself. Shunt Generator: In a shunt Generator, the field flux is derived by connecting the field circuit directly across the terminals of the generator. This type of generator has a distinct advantage over the separated excited generator that no external power supply is required for the field circuit. 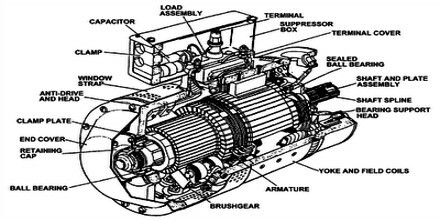 Series Generator: In series Generator, the field flux is produced by connecting the field circuit in series with the armature of the generator. Differentially Compound Generator: In a differentially compounded generator, both a shunt and a series field are present, but their efforts are subtracted. 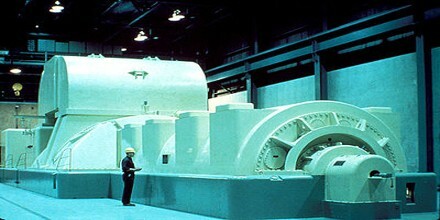 In this type of Generator, the shunt and series field windings, both are present but their magneto motive forces produced are such that they subtract from each other and the net magneto motive force is much less.